Rhoda Lombres – Joyful Development Inc. Her name is Rhoda Lombres. She runs a noodle house, a little restaurant and she also breeds 10 piglets. 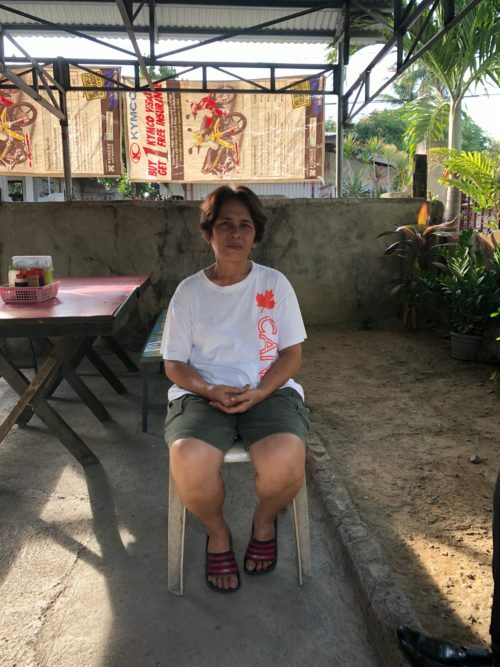 6 months ago, she got a business loan of 10,000PHP from JDI, which she appreciates to work with, principally due to all the good advices that Joyful gives to her, helping her to grow her business.